The 1 Day Post Conference Tour will be held on Saturday 12th October 2019 from 8:00 am – till late. Note: The tour fee does not include accommodation for the night of 12 October. It is the delegates’ responsibility to book their accommodation. The Post-Conference technical tour is planned to be a one-day coach trip to Auckland’s Waitakere Ranges. This one day tour includes site visits to a number of dams in the region, supplemented by magnificent views of the ranges including a scenic visit to the famous surf beach Piha. The Waitakere Ranges Regional Park is a place where pristine bush, thriving native wildlife, and rugged black sand surf beaches come together. This stunning region includes more than 16,000 hectares of native rainforest, coastline and natural treasures. Rosedale Dam is a one-kilometre-long earth fill embankment, high PIC dam located in an ever-changing urban environment. An expanding northern motorway encroaches on the reservoir and urban Auckland development has moved into the dam breach inundation zone. Click 01 – Rosedale wastewater treatment plant for more information about this treatment plant. 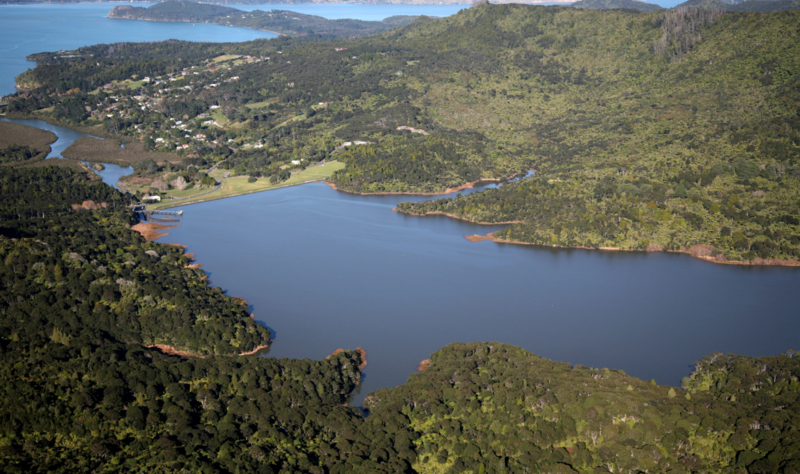 Lower Huia Dam is an earth-fill embankment containing a central core with transitional shoulder zones employing rock fill, and filter/ drainage layers constructed downstream from the core. Post-tour attendees can walk over a footbridge located on top of the bellmouth (morning glory) spillway and look down at the impressive spillway opening. Bring your camera. Lower Nihotupu Dam is the first “scientifically controlled” rolled fill dam structure in New Zealand. The embankment has a central clay core with transitional and shoulder zones constructed from the rubble. An open spillway weir discharges through a spillway channel at the left abutment. The spillway discharges into an estuary known as Muddy Creek, which is an arm of the Manukau Harbour. Click 03 – Lower Nihotupu Dam Hydraulic Structures – for more about this dam. Lunch at the Waitakere Estate, a heritage collection that set in Auckland’s Waitakere Ranges rainforest with spectacular views of Auckland City and the Hauraki Gulf provide a breathtaking panoramic backdrop with a relaxing lunch. 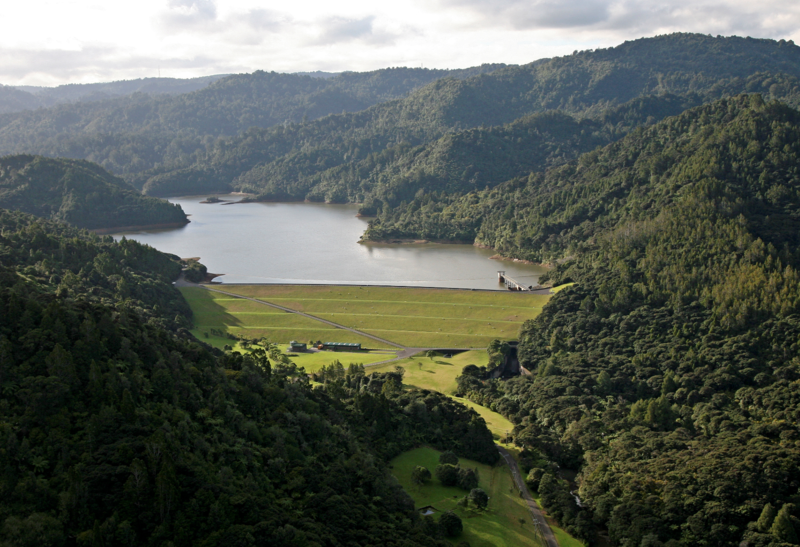 Waitakere Dam was constructed between 1907 and 1910 and was raised 5 meters in 1927. 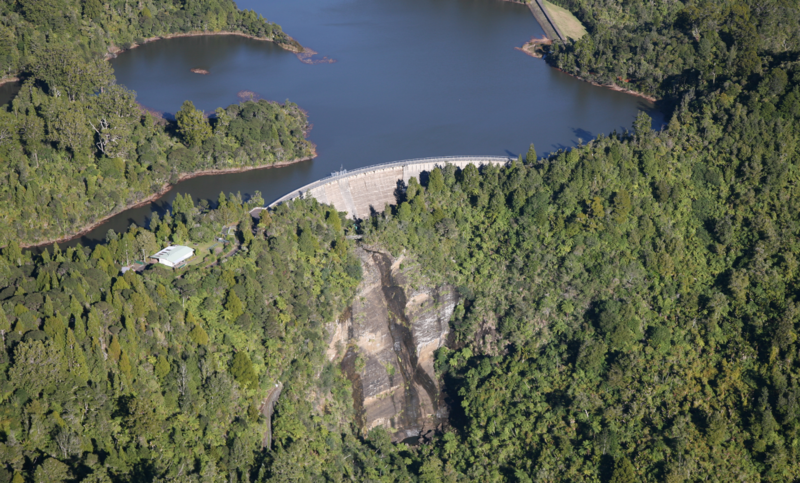 The Saddle Dam was constructed in 1927 to allow the raising of the reservoir to its current height. The main concrete dam is located on top of a 100-meter high water fall. In 1992 vertical post-tensioned rock anchors were retrofitted to increase the main dam’s resistance against sliding and overturning. Click 04 – Waitakere Main Dam Hydraulic Structures for more information about this dam. 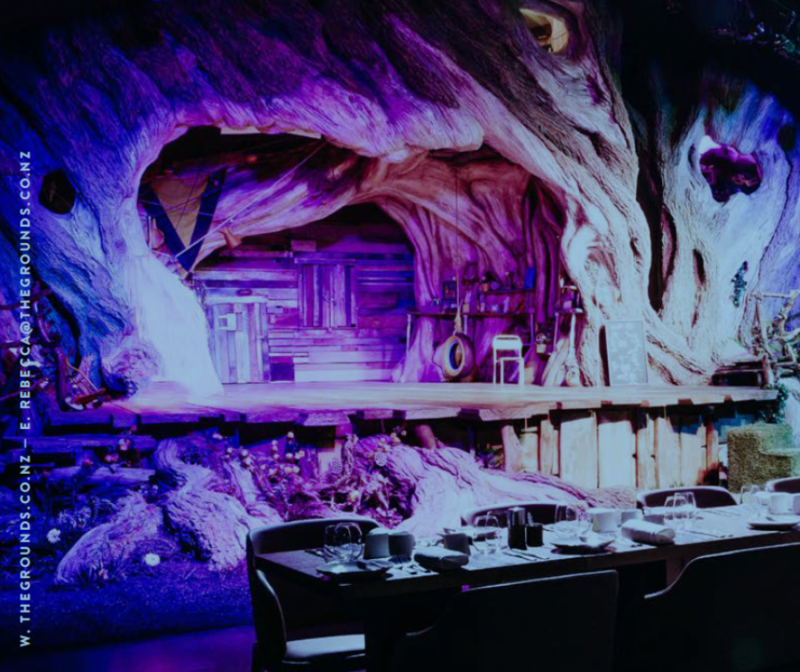 End the tour with a dining experience at The Grounds at Whoa! Studios. This will be a night to remember, the food and drinks experience is, without a doubt one of the best in New Zealand. The Grounds is owned and led by award-winning chef Ben Bayly – of My Kitchen Rules fame and previously the Executive Chef at The Groove and Baduzzi.